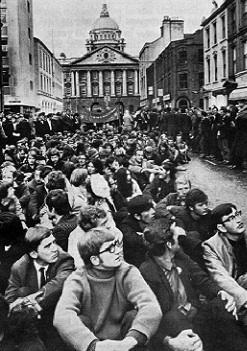 While the Belfast to Derry January march of 1969 (often described as the Burntollet march) has been much commented on then and ever since*, other parts of Peter Cosgrove’s memoir describe events which are less well recorded: The Peoples Democracy [PD] participation in the 1969 Stormont election. This historical record has been available for some time but is only now being made publically available on the net. Long overdue! NollaigO October, 2014. The August crisis showed that the lack of organization in the Belfast PD was a serious handicap. There was no membership as such. Anyone could call him or herself a member of PD. They could also deny any association with PD. This was what a number of people we had thought of as PD did in the Falls Road in August and September 1969. These folk were much impressed by the IRA volunteers they encountered. Even antique revolvers were attractive to some men who arrived at the radio as members of PD and departed proclaiming that they were republicans. A number of us including Michael Farrell, Cyril Toman and Niall Vallelly decided to call a PD conference at which we hoped the movement would begin to adopt a formal structure. We envisaged a card-carrying membership and an elected steering committee which could take responsibility for the day-to-day administration of the organization. The conference took place in St Mary’s Hall on the weekend of 12 October 1969. The hall was full.There was some opposition to our organizational proposals. In particular John McGuffin spoke vigorously against the very idea of any formal structure. John thought there was a Stalinist flavour about the whole thing. He seemed to believe that we would eventually be putting libertarians like himself up against a wall and shooting them. To be fair, however irritating John could be, no one was thinking of killing him, at least not anytime soon. John lost the vote but he did succeed in stopping us charging for membership cards. It was not clear how the new look PD was to be funded. There was no opposition to defining our basic objective as “the ousting of both Tory governments and the establishment of an Irish Socialist Republic”. A Steering Committee of nine members was elected. Niall Vallelly, Cyril Toman and myself were members of this body.The Committee met in the dining room of a rather grand house on the Malone Road. Niall Vallely and Cyril and Eddie Toman shared the rent of this with my wife and myself. It was a very big house and we were only able to afford it by sharing the rent among four of us. It was there that I got to know Geraldine Patton who later married Eddie. PD began to produce a weekly newspaper “Free Citizen”. Much of the editing and layout of this was done by Eddie and Geraldine. Printing was handled by John D Murphy who was starting up his own publishing business. “Free Citizen” sold well in Armagh and parts of Belfast. 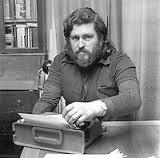 Michael Farrell published a pamphlet, “Struggle in the North”. It sold like hot cakes. We sold several hundred in Royal Avenue one Saturday afternoon. People were desperate for some explanation of what had happened and also for predictions of the future. We held a public meeting in the Father Matthew Hall in Cork. Outside this the Irish Communist Organisation were selling their paper “The Irish Communist”. The Capuchin fathers who owned the hall were so alarmed by this that they barred the doors. Presumably they were afraid that the red hordes might trespass on their property. They also managed to lock Cyril Toman out of the meeting. Ever ingenious, Cyril got in through a toilet window and interrupted the meeting to tell us that “Some ould fella in a nightgown has locked the doors on us”. Om the following morning, a Sunday, we went around to see Jim Lane at his house. Jim was a veteran of the ‘50s campaign in the North. He now had a bookshop which sold a wide range of Maoist and “anti-revisionist” literature. When we arrived Jim’s wife was getting the children ready for Mass. When they left Jim took us into the kitchen where he opened the hotpress door to reveal a large portrait of Mao Tse Tung. “I have my holy pictures, too,” he said. From Cork our party returned to Belfast by way of Clones, Co Monaghan where I was dropped off. I was due in court in Enniskillen the following day. The charges arose out of our little riot in August. I was charged with breaking a policeman’s jaw and “assisting in the organization of an illegal meeting”. My barrister whom I met for the first time ten minutes before the case was due to be heard, advised me to plead guilty and throw myself on the mercy of the court. I told him bluntly that I would do nothing of the kind and that, if he wanted to be paid, he had better start defending me. To be fair to him he did make an effort. I was acquitted on the charge of breaking the policeman’s jaw and, in fact, I had not broken his jaw. I got six months on the other charge which was a catch-all provision. Being present at an illegal meeting was enough to be found guilty of “assisting in the organization” of the meeting. The police strongly resisted bail but the RM accepted the barrister’s claim that I was a teacher with a job to go to. I was bailed to appear for an appeal in January. Outside the court my barrister came up and said that he had now learned that I was unemployed. He said he had unwittingly misled the court and that I should clear off from the area before I was arrested and sent straight to jail. At the same court Patrick Somers of Enniskillen was convicted of assaulting two policemen. He was sentenced to one month in jail becoming the first Fermanagh man to do time for ‘Civil Rights’. On his release I met him at the door of Crumlin Road jail. He was not at all repentant and thought he had made a good start. We had a couple of drinks in the Crown Bar and he went off on the bus to Enniskillen. Our next meeting south of the border was in Limerick where we met Jim Kemmy, a thoughtful man who was building a socialist base in the city. This was uphill work in one of the most Catholic of Irish cities. Jim gave us a concise account of the history of Limerick in the twentieth century. He was a stonemason by trade and told me he had educated himself in London public libraries. Jim Kemmy was the most impressive 26 county politician that I ever met. We continued to try to organize PD in the six counties. Bernadette Devlin refused to join. So did Eamonn McCann. Eamonn had his own organization, the Derry Labour Party which was officially part of the Northern Ireland Labour Party but was in practice an independent grouping. We argued the toss with Eamonn but, at that time, there was little rancour about the matter. We did not take ourselves too seriously. Eamonn was increasingly attracted to the ideas of the British trotsykist group International Socialism. Later he joined the Irish version of the Socialist Workers Party. He remains active in politics right up to the present day. On behalf of the Steering Committee I took part in a meeting at Durham University in October. The meeting was organized by the Student Christian Movement and was a discussion of the situation in Northern Ireland. One of the other speakers was Rev …………….. a lecturer in ecclesiastical history at the university. He was originally from County Antrim and, unlike myself, he had a detailed knowledge of the history of Protestantism in Ireland. In the course of a fascinating contribution he laid emphasis on the violence which had characterized the history of the six counties. His gloomy prediction was there would be much more serious violence before any resolution of the problem. In retrospect, his was a truly prophetic voice. During the question and answer session which followed I was asked what I thought about the role of the British military in Northern Ireland. Acknowledging that the military were still enjoying a honeymoon period, I said that I thought of the British army as a mercenary force who had sold their power to kill for wages. The questioner asked sharply what I meant by that sort of remark. I said that the British army followed orders and would shoot their own grannies if told to do so by their officers. On my way out of the meeting I discovered that the questioner was a British army officer. He and his three colleagues shoved me up against the wall and expressed their anger at my opinions. One of them said he hoped to meet me in Northern Ireland. My SCM hosts extricated me from this dialogue of the deaf. Apparently the four chaps were studying Arabic at the university before returning to their regiments. For all I know they had already been part of the British force which had recently been winning friends and influencing people in Aden. From Durham I went to London where I spoke to the International Marxist Group (IMG). I cannot remember much about the meeting except for the fact that Tariq Ali was in the chair. Tariq was a charming courteous man who knew quite a lot about Northern Ireland. Certainly he knew a lot more about Northern Ireland than I did about Pakistan his home country. In December the Springbok rugby team began a tour of the British Isles. There was much opposition to a tour by a team who were seen as representatives of apartheid in South Africa. The Springboks were scheduled to play in Belfast at the Ravenhill grounds. PD and several other organizations were opposed to this game taking place. We held a public meeting in the Lower Falls about the matter. In an attempt to explain the badness of the apartheid regime I said that the South African regime was even worse than the Unionist government. Afterwards an elderly man stopped me in Albert St and said that, while he was interested in what I had to say, I really needed to understand that there was “nothing worse than the Unionist regime.” We issued a press statement saying that ‘blood will flow’ in the streets of Belfast before the South African racists played at Ravenhill. The game at Ravenhill was called off but the game at Lansdowne Road went ahead. 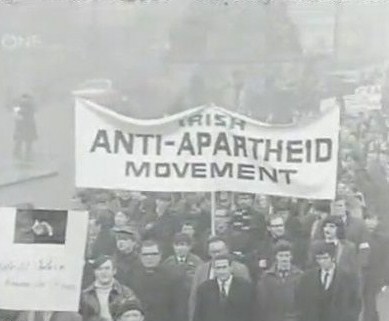 The Irish anti-apartheid movement planned a large demonstration on the day of the game. We supported this demonstration. I got on to Gay Byrne’s Late Late Show to publicize the cause. The chief guest was the English politician Lord Hailsham. It soon became clear that Gay Byrne dearly loved a Lord. Both the noble Lord and Gay were very opposed to “the introduction of politics” into sport. We thought that an all-white rugby team who were ambassadors of apartheid had already introduced politics into sport. Unfortunately I had no idea how to behave on television and with plenty of assistance from Gaybo I made an eejit of myself. The situation was saved by Chen Chintingwende from Zimbabwe. “General Chen” was already a veteran of the war against the Smith regime. He was more than a match for Gaybo who made the mistake of asking Chen if he hated all white people. “How could I when I am married to a woman from County Kildare?” replied Chen. The night before the game we used one of our radio transmitters in Dublin to try to drum up support for the demonstration. Calling ourselves ‘Radio Freedom” and using the rather childish slogan “Bate them black and send them back”,we were heard in parts of Dublin. The demonstration headed up by Kadar Asmal, Lord Killanin and Bernadette Devlin was nearly 50,000 strong. Still the game went on. Some of the PD contingent halted at the entrance to Lansdowne Road and confronted the fans who were streaming into the ground. Dolores Price climbed up on the netting wire above the entrance. She had a Starry Plough flag in one hand. Each time she dipped the flag the demonstration charged the Guards and spectators. Kadar Asmal came back and asked me to use whatever influence I had with the crowd to stop the violence. He did not want his demonstration ruined by violence. Neither did I but my influence on the crowd was limited. I told a reporter from the Sunday Indo that the people trying to get at the fans were a Maoist group, the Internationalists who were based in Trinity College. The Indo duly reported this canard as the truth. Paper does not refuse ink. Eventually the demonstration moved on. Two people from Armagh were arrested. We got them out by surrounding the Guard station where they were being held. That evening I was sitting in a snug in O’Neills bar near Trinity College when we were joined by a group of Armagh lads. They reeked of petrol and were on their way to the Gresham Hotel where they intended to “to batter” the Springboks. I declined to join this expedition and was so alarmed by the petrol fumes in a confined space that I put my cigarette out. Subsequently the Guards baton charged the demonstration outside the hotel. Two young Armagh women suffered serious head injuries in the baton charges. A few days later we were gratified to hear from a journalist who had interviewed the Springbok captain that the team had felt really threatened in Ireland. The demonstration was the end of my political activity. I went back to court and managed to get my prison sentence suspended for two years. This was a relief and meant I could return to Zambia. There was a party in our house the night before I left. I did not feel like partying but managed to have too much to drink anyway. Rita O’Hare told me she could not believe that I was leaving “the struggle”. Perhaps I was not really going to Zambia but to “somewhere else”. I never found out where “somewhere else” might be. The following day Michael Farrell drove me to Aldergrove. I flew to London and while waiting on the night flight to Lusaka I met my brother, Eddie, who had come out to Heathrow to see me off. I gave him the green anorak which I would not be needing in Zambia. I had left Northern Ireland forever although I did not know that at the time. I was in a gloomy frame of mind. I was broke, my marriage was as good as over and I was in debt. Had I had a crystal ball I might have been more cheerful. I did have a job to go to and I had left ‘Northern Ireland before the real bloodletting got under way. These brief notes are intended to explain something about some of the organizations mentioned in the text. More detailed and, possibly, more balanced assessments of them can be found in the widely available accounts of Northern Ireland in 1969. It may be thought that there is too much attention paid to defunct or moribund ‘Çommunist’ organizations. It may well be difficult for readers under forty, if such there be, to understand the prestige enjoyed by even small pro-Soviet Communist parties before the collapse of the Soviet Empire in 1989. The CPNI was the Northern Ireland version of the Communist Party of Ireland (CPI) which dissolved itself when Hitler and Stalin went to war in 1941. In 1969 its most prominent members were Betty Sinclair, Jimmy Stewart, Andy Barr and Jimmy Graham. The CPNI was influential on the executive of NICRA (qv. ), Betty Sinclair being a chairperson of that organization. In the ‘40’s, ‘50’s and ‘60’s it had considerable influence in the leadership of trade unionism in Belfast. The limits of that influence were cruelly exposed by the Protestant Workers’ Strike of 1974. By that time the CPNI had dissolved itself into the Communist Party of Ireland led by Michael O’Riordan. This was a ‘front’ organization of the Communist Party of Great Britain and was founded in London in 1938. Its best known member was C D Greaves from Liverpool. Greaves edited its monthly newspaper “The Irish Democrat” which combined mild pro-Soviet propaganda with an often maudlin Irish nationalism. Greaves wrote a number of books which were widely read by Irish leftists. The best known of these was his biography of James Connolly. He put a lot of effort into trying to persuade the British Labour movement to adopt an anti-partitionist policy. He did not live long enough to have the Berlin Wall fall on his head. His career is a fine illustration of Robbie Burns’ line “The best laid plans of mice and men gang aft agley”. Originally a branch of the Northern Ireland Labour Party, the Derry Labour Party was taken over by Eamonn McCann, Dermot McClenaghan and others who made it an independent grouping. Together with Johnny White of the Republican movement they organized the Derry Housing Action Committee which sought to call attention to the dire state of housing in the Bogside. The Derry Labour Party and Johnny White were largely responsible for organizing the 5th October 1968 march. The march was banned and the RUC batoned it into the ground in Duke St. This police brutality was captured by TV camera crews and the images radicalized Roman Catholic opinion in Derry and elsewhere in Northern Ireland. This small Stalinist grouping was founded by Angela Clifford, Brendan Clifford, Pat Murphy and others. The ICO published a number of pamphlets which greatly influenced Irish leftist thinking. Most notable of these was “The Economics of Partition” published in London in 1968. This was sold at Civil Rights meetings by members of the organization and its analysis of the economic background to partition was an eye-opener for many people who had no interest in theological controversy about the relative merits of Stalin and Trotsky. Subsequently the ICO developed the theory that there were two nations in Ireland, a Protestant nation and a Catholic nation.Very few folk from “the Catholic nation”were prepared to follow them down this particular cul-de-sac. In 1969 the IRA were led by Sean Garland and Cathal Goulding. They were the successor organization to the anti-Treaty IRA who lost the Civil War. In the 1930’s and 1940’s the Free State component of the IRA was marginalized and almost wiped out by De Valera. They would not go away, however. The Northern Irish section maintained a skeletal existence. A military campaign in the mid fifties was an absolute failure. In the 1960’s influenced by agents of C. D. Greaves the organization began to use left-wing rhetoric and it embraced the struggle for “Civil Rights”. At the end of 1969 the IRA split into the Provisional IRA and the Official IRA. After decades of tenacious armed struggle the Provisional IRA called a ceasefire in 1994 and evolved into Sinn Fein. Subsequently the Officials split into Officials and IRSP/INLA led by Seamus Costello. The two groupings fought a vicious feud in which Costello was killed. The Officials became the Workers Party. They also became fans of the Soviet Union. The fall of the Soviet Empire led many of them to have a rethink. The majority broke away and formed Democratic Left which later did ‘a reverse takeover’ of the Irish Labour Party. A rump of the Workers Party still exists under the leadership of Sean Garland. The IRSP/INLA split into factions too numerous to mention. Each split led to further feuding. It still exists in a small way in parts of Northern Ireland and in Dublin. NICRA was a “Popular Front” organization founded in 1967 by the Communist Party of Northern Ireland and the IRA. It was, partly at least, the brainchild of C.D. Greaves of the Connolly Association(q.v.) NICRA was quite unable to control the forces unleashed in Northern Ireland by the demand for “Civil Rights”. Its last major demonstration was the Bloody Sunday march in Derry in January 1972. This was broken up by British paratroopers who shot thirteen unarmed civilians dead. NICRA never became a six-county wide organization. In Armagh City, for example, “Civil Rights” struggles were controlled by Armagh Peoples’ Democracy. In Derry City, John Hume, regarded by many as “Mr Civil Rights”, never belonged to it. PD began at Queen’s University as a student response to the 5th October events in Derry. The initiative came from people who had been in Duke St for the police riot. 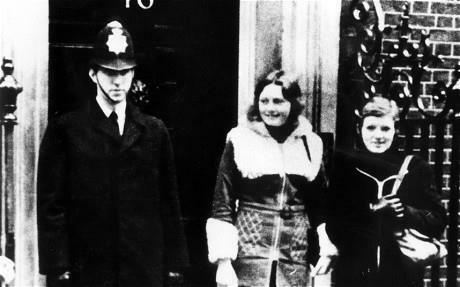 Michael and Orla Farrell, Kevin Boyle, Bernadette Devlin and Eilis McDermott were prominent in the PD. John D Murphy is credited with suggesting the name. After the 1969 election the PD moved away from the university and was no longer an exclusively student organization. It became a militant faction of the Civil Rights movement with a foothold in Armagh, Fermanagh and West Belfast. (nee Murphy) retired as President of the Irish Congress of Trade Unions. John Gray retired as Librarian of the Linenhall Library having been the most radical holder of that position since it was held by Thomas Russell, Wolfe Tone’s friend and a founding member of the Society of United Irishmen. Other people in PD joined various Republican factions and some of these died in the struggle. They included Ronnie Bunting who was killed in his own home by a British murder squad and Sean McDermott who died in a shoot-out with the British Army. The original UVF was the armed wing of the Unionist Party and became the backbone of the ‘B’ Specials, the armed militia of the Stormont regime. The modern UVF was established by Gusty Spence and others in 1966. It was an openly sectarian organization which killed two innocent Catholics in 1967. Subsequently Gusty Spence began to take an interest in politics. The UVF established a political party, the Progressive Unionist Party (PUP). Led by the late David Ervine and Billy Hutchinson, the PUP supported the Good Friday/Belfast agreement. The UVF continues to exist and, to date, has not decommissioned any weapons. This was the Belfast remnant of what had been a larger organization, The Irish Workers Group. The YSA regarded themselves as revolutionary socialists. Their most prominent members were Michael and Orla Farrell and Cyril Toman. The YSA were influential in the Peoples’ Democracy and, after Burntollet, they dissolved themselves into PD. As will be obvious from the publication dates most of these works were not available in 1969. Most Irish academics were unwilling to tackle the history of C20 Ireland.